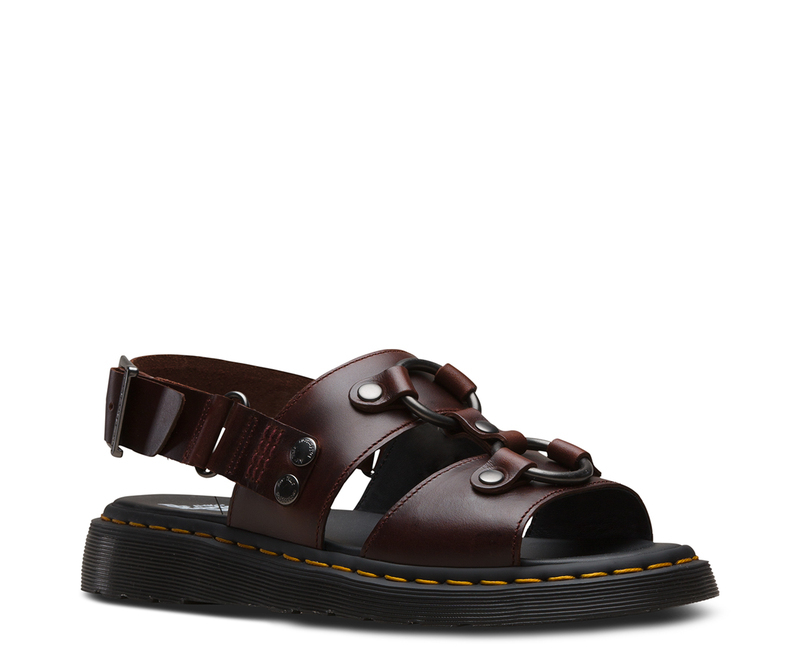 The Xabier is a slingback sandal designed to command attention, blending statement hardware with iconic Docs DNA. 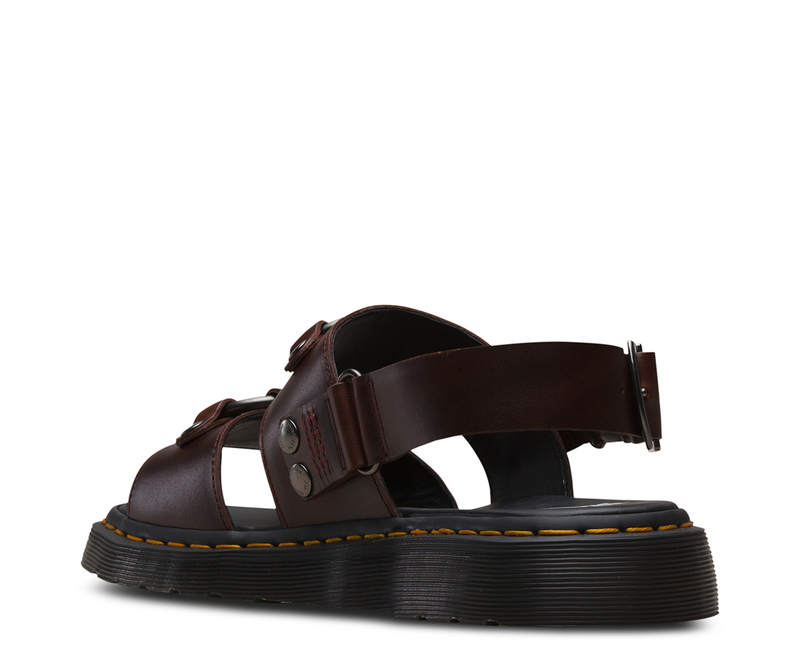 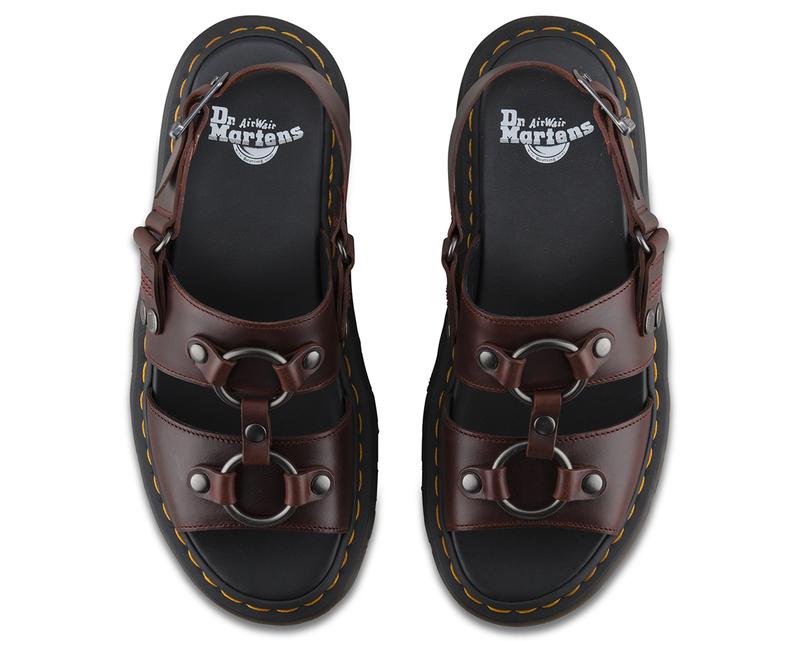 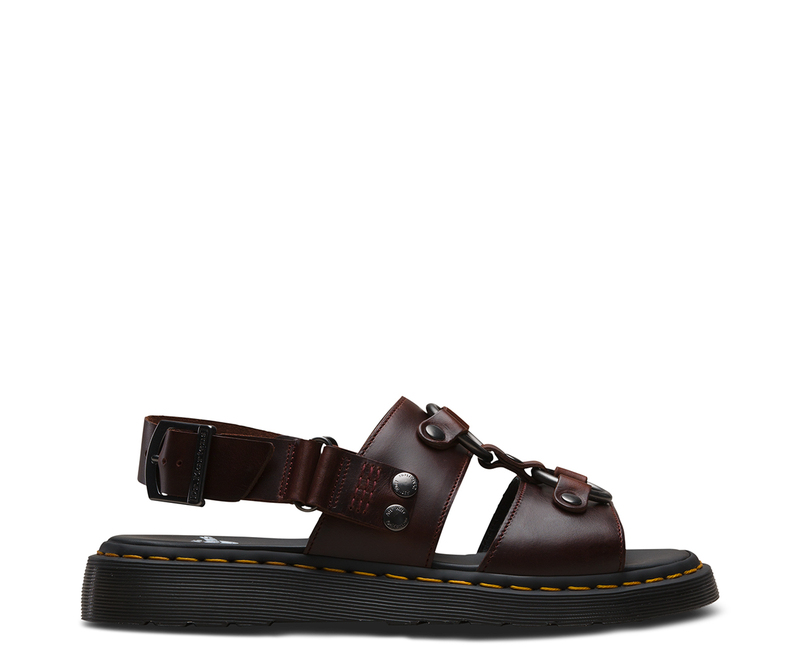 Made with the hardwearing, rich Brando leather, the unisex sandal features a double O-ring and an adjustable buckle at the heel. 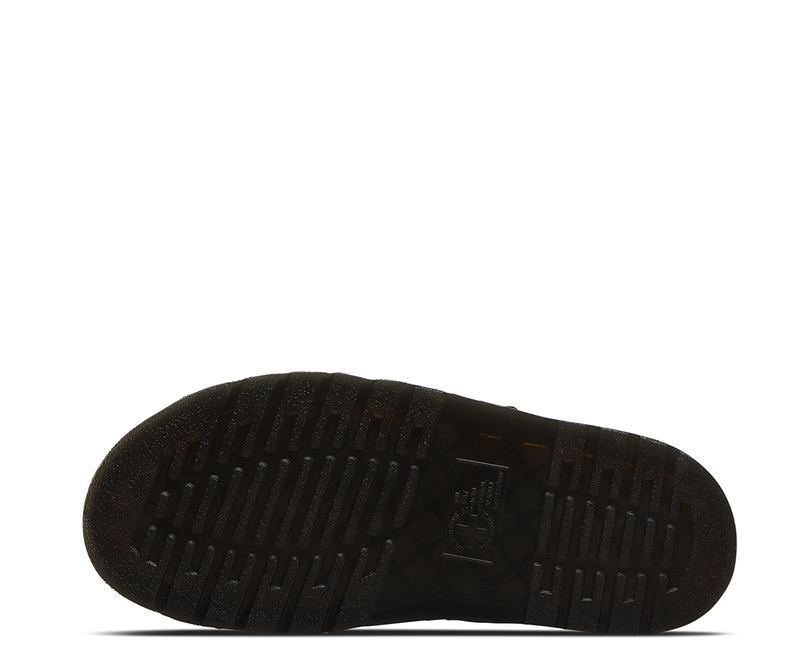 With a Goodyear-welted air-cushioned sole, the Xabier is ready for whatever summer throws your way.